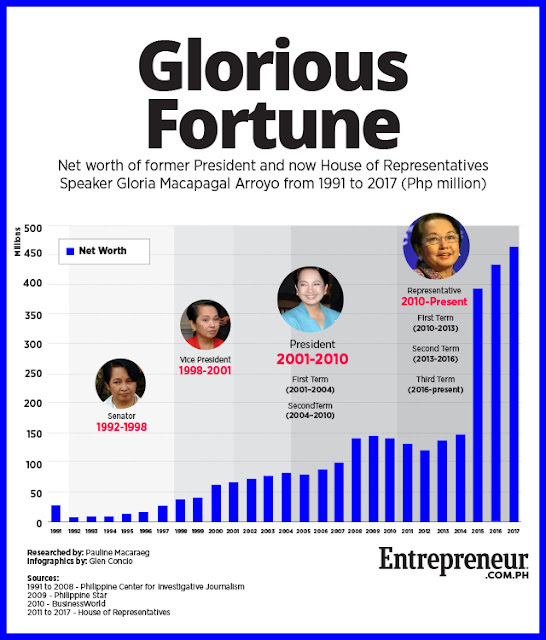 Home / News / Philippines / How much fortune does Speaker Gloria Macapagal-Arroyo have? 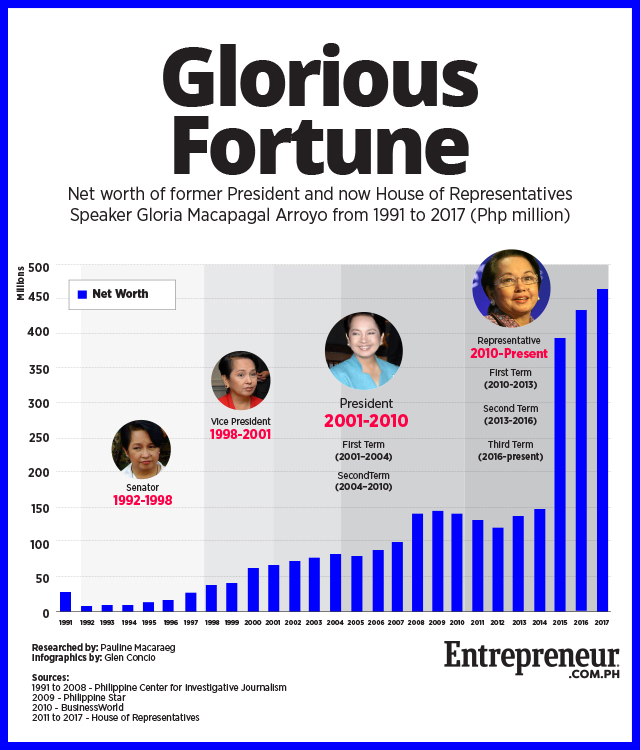 How much fortune does Speaker Gloria Macapagal-Arroyo have? 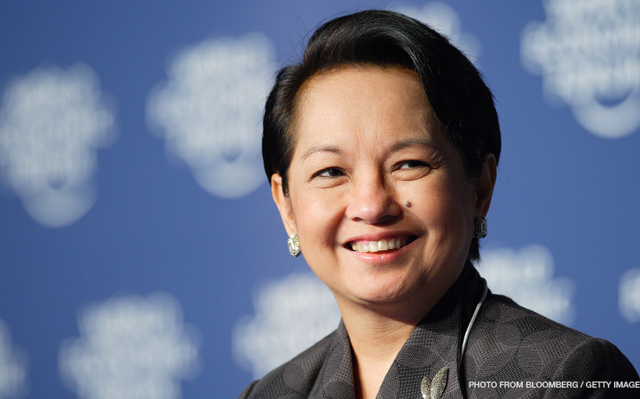 How Rich Is House Speaker Gloria Macapagal-Arroyo? A savvy wealth manager and economist, the former President increased her fortunes in recent years. The ascension of former President Gloria Macapagal Arroyo to the speakership of the House of Representatives is perhaps one of the most important political events in the Philippines so far this year, generating almost equal measures of approvals and disapprovals. Yet, even those who don’t like the latest political turn can’t help but admire the representative of the Second District of Pampanga for her political resiliency. Despite allegations of wrongdoing and even imprisonment on election fraud and plunder charges, which were eventually dismissed, she not only survived but thrived. As speaker of the House of Representatives, she is now the fourth most powerful official in the Philippines after the president, the vice president and the Senate president. But lesser known to the wider public, Arroyo is also a savvy wealth manager who managed to increase her fortunes throughout her political career as senator, vice president, president and now as a member of Congress. Financial data she submitted in her Statements of Assets, Liabilities and Net Worth (SALNs) show her net worth grew more than 17-fold from Php26.6 million in 1991 to Php464.8 million in 2017, according to various reports compiled by Entrepreneur Philippines. Except for a few years between 2010 and 2012, her net worth has been steadily on the rise, and even shot up sharply in the last three years. Arroyo’s wealth jumped the highest between 2014 and 2015, a year after her first reelection to the House of Representatives. Her total assets grew by 33 percent, and her net worth increased 2.7 times. Since then, she has not listed any liabilities under her account. As of 2017, Arroyo is the 11th richest member of the House of Representatives.